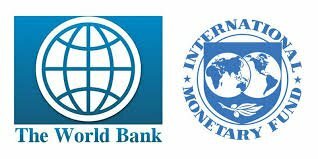 International Monetary Fund and World Bank have come together to form a venture of sorts to create and launch a private blockchain and a quasi-cryptocurrency as per a report in FT.
IMF and World Bank are experimenting with the blockchain technology and their "Learning Coin" cryptocurrency will be accessible only by IMF and World Bank. The cryptocurrency aspect of it is interesting because it has no real money value and therefore not exactly a real cryptocurrency. The report further adds that the Learning Coin and it's blockchain was launched to better understand how digital assets work. Mostly because IMF wants to centralise blockchain technology and restrict users from using decentralised cryptos such as Bitcoin. App built on its blockchain will serve as a hub where blogs, research, videos and presentations are stored. IMF's staff will utilise their product to understand how money launder and other illegal activities can take place using this technology. It will help them better understand the pros and cons of the technology including but not limited to smart contract features. In India however our central bank is yet to consider cryptocurrencies as "currency." They consider digital currencies as digital assets at best. While they are still debating what to do with cryptocurrencies some parts of the world is moving on figuring out co-existence. IMF and World Bank experimenting with cryptos largely mean nothing if innovation is stifled. Banksters love centralised and permissioned networks that they can control exclusively. It's almost hilarious that when banksters speak of money laundering when they are the biggest money launderers in the world. Anyway, I hope IMF and World Bank start thinking more positively in the long term and all factions of their organisations accept cryptocurrencies as an evolution of payment systems of today. @ocdb is a non-profit bidbot for whitelisted Steemians, current max bid is 45 SBD and the equivalent amount in STEEM.